Custom/USHER Fancy Dogbone Badge is 4 inches long. Please note that these badges are personalized and made-to-order and cannot be returned unless flawed or damaged. Please double check your spelling for typos. We are not responsible for any misspellings. Top Bar TextComma separate values when ordering more than one badge. Be sure to change the quantity ordered to the same number of names being submitted. Bottom Text (Round Portion)Please double check for spelling errors. We do not accept cancelations or returns after the badge(s) enter production. Do not enter multiple values here. 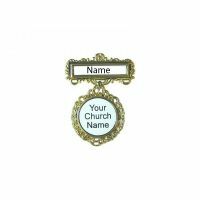 Each value will have to be added to cart separately and require a setup fee for each church name. 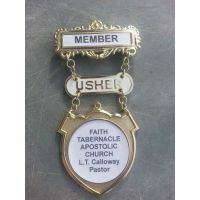 USHER/Custom shield dogbone badge is 5" long. Choose between a sturdy pinback closure or a very s.. 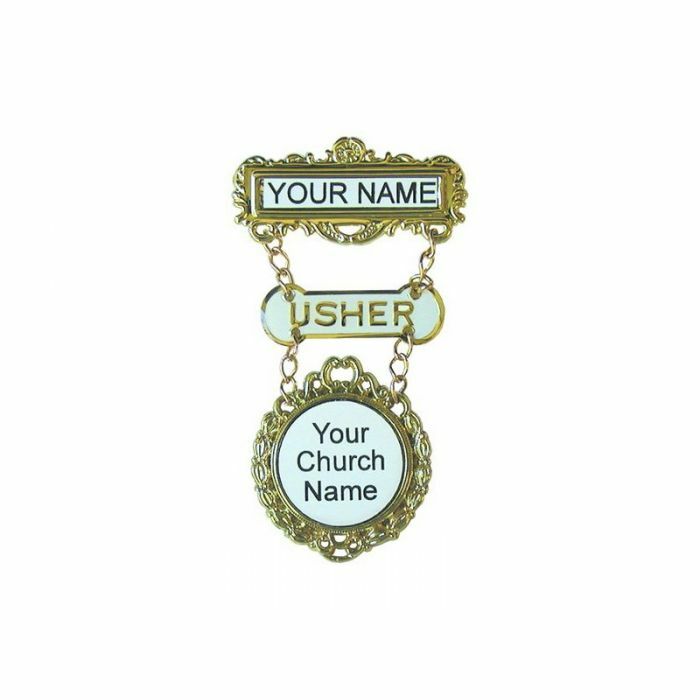 Custom USHER Fancy Round Badge is 3" long, with magnet back. Please note that these badges are p..